The first European Games are just days away with over 6000 athletes from 50 countries gearing up to compete in 20 sports spread over 18 venues. However, Baku has much more to offer visitors over the coming weeks beyond simply an enthralling schedule of international sport. With this in mind, Visions has mapped out a short guide to the city’s best attractions, within the context of the European Games. Summary: Encompassing the Crystal Hall, the state of the art Aquatics Centre and the European Games Park, the Flag Square Cluster is set to host a variety of sports from beach football to taekwondo. It’s also conveniently located for several Baku excursions. The Seaside Boulevard, casually known as the “Bulvar,” is a favourite hang-out for Bakuvians of all ages to congregate for tea, biking or strolling along the shores of the remarkably flat Caspian Sea (actually a lake). First built in 1909 and originally only occupying a space between the Puppet Theatre and Azneft Square, the Boulevard is currently being extended into a 25km promenade stretching most of the way around the Baku bay. Strolling the length of the Boulevard from the world’s second largest Flagpole (west) all the way to fashionable Port Baku (east) will take at least an hour alone, but there are several things to do along the way. 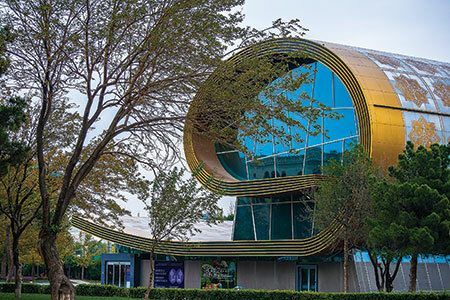 Stop off at one of the many teahouses en route, jump on the Baku Eye, which opened in 2014 and is a smaller version of its London counterpart, or take a guided tour of the rug-shaped Carpet Museum, which hosts the world’s largest collection of Azerbaijani carpets. Buses operate along Neftchilar Avenue (parallel to the Boulevard) for those in a hurry. Beyond the Carpet Museum, the Boulevard hosts a number of other architectural curiosities such as the Mugham Centre and Little Venice, a small area of artificial canals (with gondolas) and islands, two glass restaurants and elaborate bridges and décor, first built in 1960. A kilometre or two east of here is the unmistakable bulk of Government House (no entry). Love it or hate it, the uniquely shaped building is somewhere between a functional building and a giant monument. It was built by, amongst others, German prisoners of war over a 16-year period, eventually opening in 1952. The idea was to house all the government ministries and many state bodies in one building, and a Lenin statue used to adorn the front. Just across from Government House, a top tip is to visit the Hilton Hotel’s 360 Bar one evening. As the name suggests, the bar is indeed revolving and offers jaw-dropping views of Baku and affordable drinks over happy hour from 7.30-8.30pm. Backtracking to the Carpet Museum, cross (under) the road to the statue of Bahram Gur, depicting a scene from legendary poet Nizami’s “Seven Beauties,” and admire the view of Baku’s most significant modern symbol - the Flame Towers. Opened in 2012 the towers were inspired by Azerbaijan’s ancient fire worshippers and have come to symbolise Baku’s lightning development since the painful early post-independence days of the 1990s. At night the glass panels transform into a vibrant light display and become Baku’s most recognizable after dark landmark. Take the Funicular near the Bahram Gur statue, which runs up the hillside to Highland Park, formerly Kirov Park after Bolshevik leader Sergey Kirov (see page 49). A giant Soviet-style statue of Kirov used to dominate what is today the city’s most spectacular viewing point, gazing out over Icherisheher (Old City), the Boulevard and the Caspian Sea. 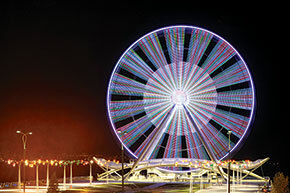 Note that the view is particularly stunning by night. Kirov and his statue have become a hazy memory in recent years and the park has been elegantly renovated. Yet the area remains a poignant reminder of recent national traumas. Prepare to be particularly moved walking slowly down Martyrs’ Avenue; buried here are over 130 victims of Soviet aggression in January 1990 during what’s come to be known as Black January. 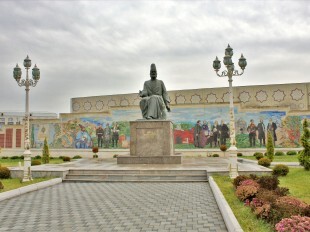 Continuing up Parliament Avenue and across the road from the Flame Towers is the large Faxri Xiyabani cemetery complex, which houses the graves of respected Azerbaijanis, many of them artists. The Aquatics Centre and European Games Park are a 25-minute walk from the Crystal Hall across a newly and quite magnificently expanded and developed area to the western end of the Boulevard, which used to simply be a fairly drab part of suburban Baku frequented by oil workers and fishermen. The area sprawling favela fashion with old one storey houses and twinkling lights over the surrounding hillsides is part of the area known as Bayil. It developed as an industrial, workers’ quarter during Soviet times and was once infamous for Bayil prison, whose most notable resident was Josef Stalin, twice held (in 1908 and 1910) for revolutionary work amongst the oil workers of early 20th century Baku. There are several restaurants (see the article “Hunger Fix”, on Baku’s 10 best restaurants, on p.72) in recently converted warehouses on the Boulevard stretch between the jagged Crystal Hall and the brand-new Aquatics Centre. This totally re-developed area also boasts newly laid parks and tremendous views of the Caspian Sea. 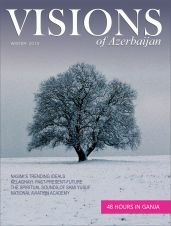 For recommended trips to Qobustan, jump to the Western Venues guide on p.69. Summary: Split between venues on the Boulevard (Baku Sports Hall and Freedom Square) and areas just north of the city centre (Tofiq Bahramov Stadium and the Heydar Aliyev Arena), the City Cluster is the most convenient for tourism in Baku. Watching sports such as archery, road cycling, judo and badminton can be easily combined with trips to the Old City (a UNESCO world heritage site), Fountain Square and the surrounding restaurants and bars. Given the size of modern day Baku it’s hard to believe that when the Russians arrived at the beginning of the 19th century the city essentially was Icherisheher (Baku’s Old City). Recent renovations may have taken some of the old-world authenticity away but getting lost in the narrow, mazy streets, gazing up at the 19th century balconies and breakfasting on freshly baked tandoori bread makes Icherisheher still Baku’s number one tourist attraction. Guided tours of the major landmarks are readily available and highly recommended (approach the information booth by Maiden’s Tower). The 12th century Maiden Tower is Baku’s most defining symbol. It’s remarkable to think that it used to be in the Caspian Sea and that its precise purpose is still debated. The consensus is that it was used initially as a Zoroastrian temple, then for astrological and defence purposes and as a lighthouse during Tsarist times. The Shirvanshah’s Palace was built between the 12th and 15th centuries and housed several generations of the powerful Shirvanshah dynasty, which ruled much of today’s Azerbaijan until the Safavids invaded in the early 16th century. The neatly preserved complex features reception rooms, mosques, a madrasa, servants’ quarters, an ancient hammam and more. Look out for the old cyrillic names carved into the walls around the Divankhana (or Courtroom) by soldiers of the Tsar’s Army when the palace was (mis) used as military garrison between 1828 and 1918. Other attractions in the Old City include one of Baku’s oldest functioning hamams, the 18th century Agha Mikayil Bath-House (women on Mondays and Fridays, men on all the other days; prices from 10 AZN), the elaborately sculpted Vahid’s Bust and strolling along Zeinalli Street near the Maiden’s Tower, with 12th century remains of mosques, a religious school and a hamam. Be sure to haggle in the carpet and souvenir shops. On the southern edge of Icherisheher is Azneft Square, bordered by the elegant Beaux-Arts style Four Seasons Hotel, the Boulevard, the former SOCAR (Azerbaijani state oil company) HQ and the Heydar Aliyev Foundation building. Heading north up Niyazi Street is Baku’s oldest park on the right, nestling against the highly photogenic medieval fortress walls, the oldest part of which dates to the 12th century. Created in the 1830s, Aliagha Vahid Gardens has been called differently at different times (as Mikhailov Gardens, City Gardens, Pioneers’ and School Pupils’ Gardens, and even still as Governor’s Gardens) but really blossomed in the mid to late 18th century thanks to a special tax requiring merchants arriving from Iran to deliver several cubic metres of fertile soil. Despite great resistance, over 200 trees had to be cut down in 1910-12 to make way for the stunning pale yellow Philharmonia, reminiscent of a renaissance-era Italian villa and supposedly inspired by the Monte Carlo equivalent. It occupies the corner of Niyazi and Istyglaliyat streets and was originally a summer club and casino where wealthy manufacturers and merchants, oil men, high ranking officials and officers from the Russian army would gather late into the night. Musicians gathered here in Soviet times and in 1936 the building housed the Azerbaijan State Philharmonia. Opposite the Philharmonia is the National Art Gallery (entrance 10 AZN), spanning two oil boom mansions and housing fine collections of international and Azerbaijani artworks. One of them functioned at different times as the headquarters of The Caspian Partnership oil company, of the British in 1918 (invited to Baku by the Centrocaspian Dictatorship), and then as home to Azerbaijani Communist leaders Nariman Narimanov and later Mir Jafar Baghirov. At the very top of Niyazi Street are the super drab Presidential Offices built during the 1980s as the Communist Party headquarters. Swing right at the top of Niyazi Street onto Istyglaliyat (Independence) Street, which follows the northern perimeter of Icherisheher down towards the city’s commercial centre. 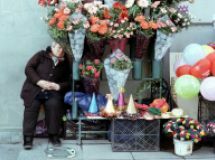 Common to many places in Baku, Istyglaliyat Street has also been known by various names – Nikolaevskaya (Russian Empire), Parlamentskaya (post-revolution), Kommunisticheskaya (Soviet-era). The Street was renamed Istyglaliyat Street after achieving independence in 1991 in honour of the Turks who liberated the city in 1918. 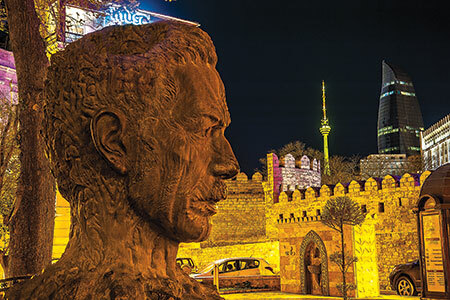 Istyglaliyat remains one of Baku’s most central and historic streets, and an excellent spot to get a sense of Baku’s oil boom architecture and cultural expansion of the late 19th and early 20th centuries. 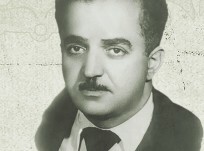 Buildings worth looking out for include the Western University, the House of Manuscripts and Ismaili Palace, built by the notoriously miserly Musa Naghiyev in honour of his son Ismail, who died in his mid-twenties from tuberculosis. At the bottom is the elegant Nizami Literature Museum, formerly the fashionable pre-revolution era Metropol Hotel. Note too the wall plaques outside various buildings recording the names of prominent residents, many of whom died in Stalin’s purges of 1937-38. 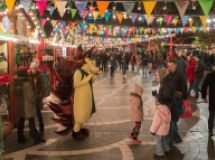 At the bottom of Istyglaliyat Street and a short walk from Icherisheher’s Double Gates lies Fountain Square, a popular central meeting and strolling area for Bakuvians and expats alike. 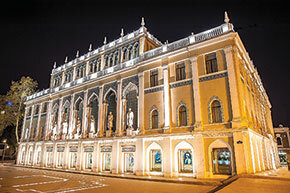 The area boasts an abundance of shops, restaurants and bars, and is perhapsthe best spot for people watching in Baku. Baku’s main bar strip occupies a small area to the north of the square stretching along Terlan, E.Alizade and Rasul Rza streets. Here you will find a somewhat hit and miss selection of expat haunts, live music and international cuisine. 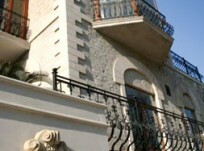 In amongst the bars and glitzy boutiques (ideal for window shopping) on Rasul Rza Street, is the oil boom mansion formerly belonging to one of the city’s wealthiest and most respected figures, Zeynalabdin Taghiyev, who rose from humble beginnings to become a wealthy oil magnate, entrepreneur and philanthropist. Nowadays, Tagiyev’s mansion is home to the Azerbaijan State Museum of History (5 AZN entrance), which is worth visiting to delve into Azerbaijan’s fascinating history, as a crossroads between east and west, marauding empires and oil-hungry tycoons. A few streets west of here is Nizami Street. For many years this was the place to be seen for Baku’s youth and intelligentsia. Today it’s a long, picturesque mid-range shopping street, with outdoor chandeliers and dazzling evening lighting. Gloria Jeans Coffees (Istyglalyat St.) – The Azerbaijani franchise of this Australian chain is the closest you’ll find to Starbucks in Baku. Reliable internet, reasonable prices (cappuccino from 3.50 AZN) and big windows create a light, relaxing environment. Café Mado (Passaj, northeast corner of Fountain Sq.) – A uniquely Turkish ice cream chain that serves up a jam and tea combo that’s hard to beat, and the ice cream’s not bad either. Café City (Fountain Sq.) – Trendy décor, extensive menu and cappuccinos from just under 5 AZN. 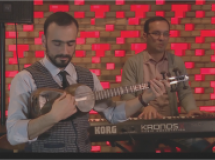 Old School (Topchubashov St.) – This hybrid cafe antique shop is an undiscovered gem, with Azerbaijani jazz, a young, creative crowd and a ramshackle collection of antique cameras, clocks and records. Tik-Talk Anti-café (corner of Tolstoy and Rasul Rza streets - grey double doors, second floor) – Tik-Talk is a self-styled anti-café, meaning that you pay for the time rather than the amount of coffee you drink (6 AZN for 1 hour, 1 AZN for each additional hour). The contemporary, arty décor gives off a homely rather than a café feel and the friendly English speaking staff organise occasional photo workshops and talks about Baku. Summary: Located at the top of Heydar Aliyev Avenue, towards the international airport and the villages of the Absheron peninsula, the Village Cluster includes the newly-opened 68,000 seater National Stadium on the shores of Lake Boyukshor, the National Gymnastic Arena and the athletes and media villages, and promises to be a major hotspot during the Games. Some 30 minutes away by car, the cycling time trail will take place at Bilgah Beach on the Absheron peninsula, where a collection of beaches and resorts, sleepy village life and handful of tourist spots provide interesting excursions for those keen to escape the heat of Baku. Beginning near the stunning, wind-proof National Stadium, broad Heydar Aliyev Avenue is a grand artery leading into the heart of the city, lined by towering contemporary office blocks and housing projects. For first time visitors arriving from the airport, it’s a dramatic introduction to the city, and an area which, like much of Baku, is being extravagantly developed. The avenue finishes near the astounding curved shapes of the Heydar Aliyev Centre (entrance 12 AZN), which is worth visiting as much for the extraordinary building alone (designed by Iraqi-British architect Zaha Hadid), as for the several good art and cultural exhibitions inside. Near the media village and behind the National Stadium commendable efforts have been made in recent years to clean up one of Azerbaijan’s largest lakes, Lake Boyukshor, which used to be regarded as one of the most polluted in the world. It was once a dumping ground for Baku’s oil waste but recent and ongoing eco-friendly projects have cleaned the water and added pristine parks and a lakeside promenade to make it a pleasant area to unwind. About a 40-minute drive from Baku is the medieval village of Gala. It’s now an open-air museum (Gala Archeology and Ethnographic Museum Complex) exhibiting various artefacts and dwellings from various periods, which together paint an engaging picture of ancient, medieval and pre-revolutionary Azerbaijani village life. The complex also houses a vast collection of 19th and 20th century samovars, trays and other kitchenware in the Antiques Museum. Finally, don’t miss the medieval Gala Castle and nearby underground tunnel, which legend says used to run all the way to the Maiden’s Tower in Baku. Azerbaijan is often referred to as “the land of fire” and the curious sites of Yanar Dag (Burning Mountain) and Ateshgah (Fire Temple) will help you understand why. Yanar Dag is essentially a small hillock, part of which is permanently in flames, fuelled by subterranean gases. According to our animated guide, a far greater portion was ablaze in times gone by. Ateshgah (Fire Temple) in Surakhani, 30km from Baku, is another ancient Zoroastrian holy site, which has been visited by fire-worshippers from India and Iran for centuries. 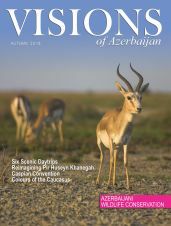 The rampant oil industry has largely rendered the landscape on the Absheron peninsula a bare and infertile wasteland, although the area is being rapidly cleared and developed like much of Baku. 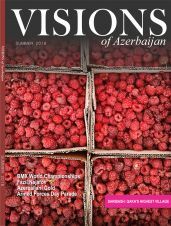 Luxury resorts are popping up, smooth highways have recently been laid and cruising along the northern coastline through villages such as Buzovna, Amburan, Nardaran and Mardakan offers a different perspective on life in Azerbaijan. Along the way you will be able to stop at beaches lined with Ladas and fishermen, relax at the Jumeirah Bilgah Beach Hotel (http://is.gd/Y58SOG and call in for tea and jam, fresh fish and salads at sleepy teahouses and restaurants along the way. Although public buses do link the main areas, to save time and linguistic challenges we would recommend arranging a car and guide to fully explore the Absheron Peninsula (see below). Failing that, we would recommend booking taxis through your hotel. Summary: The final set of Baku 2015 venues, scattered in the city’s north and western suburbs, have been lumped together under one banner. They include the BMX and mountain biking Veloparks and the cutting edge Baku Shooting Centre. BMX VELOPARK The BMX Velopark is situated tantalisingly close to the cool breeze of the Caspian Sea in Baku’s southwest suburbs. Hop (very carefully) over the road to find a few cafes, which were semi-constructed and quite poorly serviced at the time of writing. Dostluk (Friendship) Café has an unbeatable location with a large wooden terrace protruding into the sea, with views of fishermen on the nearby pier and the lonely oil platforms looming large in the distance. For better service and more formal pricing, the Ramada Baku (http://eng.ramadabaku.com) just next door has several restaurants and bars, as well as its own (modest) private beach. Bibi Heybat and Qobustan A 20 minute walk (or take the no.120 public bus) towards the city around the Baku bay will bring you to the Bibi Heybat Mosque, first built in the late thirteenth century as a religious sanctuary and one of the most recognizable sites of old Baku. It was destroyed by the Soviets in 1936 and the area remained abandoned until reconstruction in 1994. 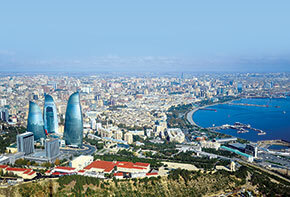 Beyond the mosque, the complex also offers views over the Caspian shipyard, exhausted Bibi Heybat oilfields and the eastern stretch of the Baku bay. Leaving the mosque to the left, the quiet, narrow Namik Guliev Street descends through quaint old houses down to the luxury Sapphire Hotel and a row of highly rated and reasonably priced fish restaurants on the waterfront, with names like ‘Darya,’ ‘Bul-Bul’ and ‘Sefa’ and open-air terraces lapped by the Caspian Sea. Some 45 minutes south by bus or car along the Caspian coast is the single must-do excursion from Baku - to the mind-boggling ancient rock carvings at Qobustan (www.Gobustan-rockart.az) and the nearby mud volcanoes. Since 2011 the rock carvings have been wonderfully explained at the onsite museum, which features interactive displays, plenty of artefacts and exhibits, reconstructions and engaging guides. The recurring rock images, discovered from 1939-40, offer an unprecedented insight into prehistoric human life, so much so that Qobustan was made a UNESCO World Heritage Site in 2007. A short 10 minute drive further south, are the mud volcanoes (Azerbaijan has over half of the world’s mud volcanoes), an extraordinary collection of earthy mounds spewing watery mud and natural gases. Note however that the road here is poorly accessible so you will need to book a tour or go by taxi. Getting there: The no.195 public bus runs from Bibi Heybat (catch it from just outside the mosque) to Qobustan, but we would highly recommend arranging an all inclusive tour of both Qobustan and the mud volcanoes (see page 71). The brand-new Baku Shooting Centre is impressive but rather isolated. So too is the temporary Mountain Bike Velopark which will only host one day of competition. 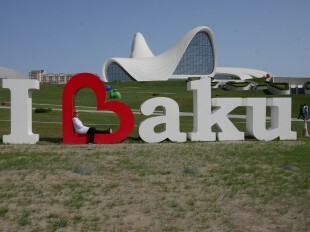 Since there is very little for the tourist to see around the venues in this part of town, we would recommend focusing on the sporting events or taking a Baku 2015 shuttle bus to other parts of Baku. However, if you are feeling particularly adventurous the next section might appeal too. Sheki is a charming, picturesque town some six hours by bus northwest from Baku. The town is surrounded by the Greater Caucasus Mountains, crisscrossed with timeless cobbled streets and boasts the local delicacies halva and piti. In Sheki, travellers can stay in an old caravanserai like an 18th century merchant, visit the colourful Khan’s Palace or share a joke with the local residents, who are famed for their jovial sense of humour. All in all, Sheki has been long established as one of provincial Azerbaijan’s most popular tourist destinations. Another of those is Qabala, whose tourist draw has grown in recent years with additions including the adrenaline rush of its super-steep cable car, the sedate glamour of the international music festival and the newly excavated archaeological site of old Qabala. The town boasts stunning scenery, nestled like Sheki amidst the Greater Caucasus Mountains and a fine range of hotels. 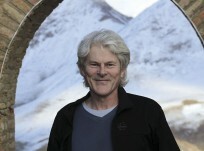 Unlike Sheki however, Qabala offers skiing and greater opportunities for outdoor pursuits. Closer to Baku and 19km off the road connecting Ismayilli and Shamakha is the rustic if increasingly touristy village of Lahij, with its old-fashioned copper workshops, blacksmiths and craft shops. 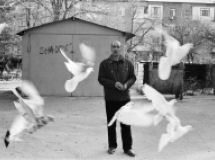 The village was founded over a millennium ago by Persian-speaking settlers and the local villagers still speak a form of old Persian (Tat) today. Following its original role as a copper mining hub, the village developed into a craft centre due to the area’s rocky landscape and lack of agriculture. Tourists venture here in summer to browse the cobbled streets and peer into crafts and souvenir shops but there are several hiking options too. It’s possible to visit Lahij from Baku in a day but far more appealing is to stay overnight in one of the local inns or homestays.